Evelina and her father-in-law, Old Oliver, had a different perspective on the afternoon’s rainfall. She called it “a heavy shower,” while he wrote that it was “a small shower.”* Because her female relatives, Almira Ames and Sarah Lothrop Ames, “got caught” in it and probably arrived home soaked, Evelina would have seen the rainfall as torrential. Old Oliver, on the other hand, would only have considered the rain in terms of the measure of water it delivered, whether he was indoors or out. 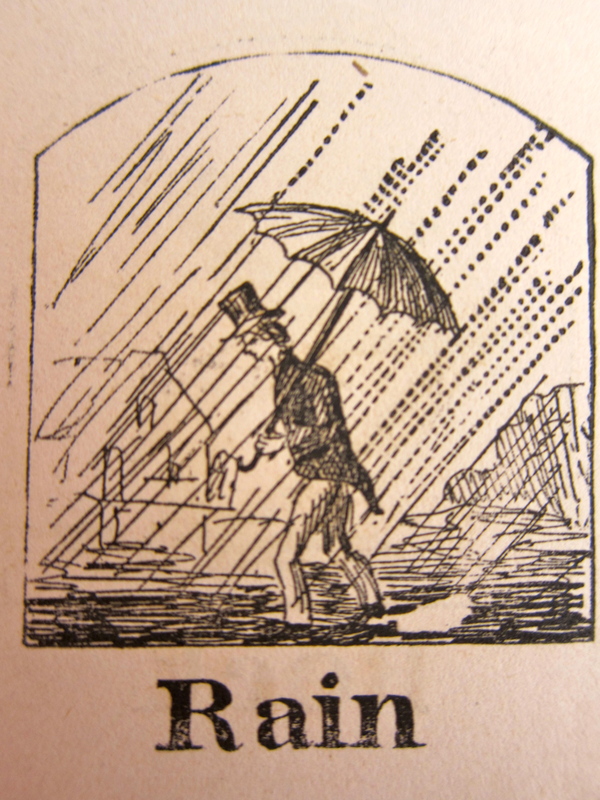 From his dual position as farmer and shovel manufacturer, he considered today’s rainfall as modest. As often happened, the two in-laws differed on details. While the rain fell in Easton, important politics were getting underway about a thousand miles to the west. In Iowa and Missouri on this date, elections to the 33rd session of the U.S. House of Representatives were being held. It was the beginning of the campaign season, something that might sound familiar to today’s readers. Between them, these two states (which, except for California to the far west and Texas to the far south, were perched on what was then the frontier between the eastern states and the western territories) would send nine representatives to Washington, the majority of them Democrats. As we have mentioned previously, this 1852 election would be won by the Democrats, in sufficient strength to sound the death knell of the old Whig party. From its ashes would rise the new Republican party. Sounds like yesterday, where here in Evelina-Oliver country, it rained very hard…for about five to ten minutes, enough to “settle the dust,” or if you were out in it to completely drench you to the skin and put water in your shoes, but in terms of how deep it penetrated the soil, or raised the pond, virtually nada. If a farmer had one’s hay “down” though, it would have given it a good, and not beneficial soaking.